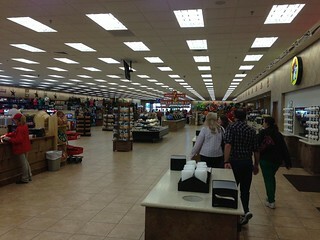 As we were passing through Bastrop on the way to Elgin, we saw more than one billboard advertising Buc-ee's. Upon learning that none of us had experienced Buc-ee's, Adam declared that our Austin visit would be woefully incomplete if it did not include an experience of the glory of Buc-ee's. 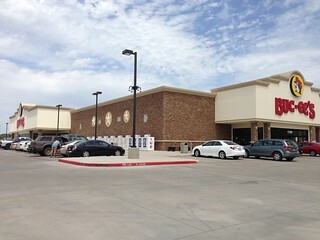 And as it happened, there was a Buc-ee's just on our route. We enjoyed samples of the sausage, and Chris bought a hat. 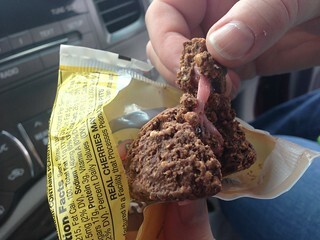 We also sampled the Buc-ee's Beaver Hut, a candy concoction of pink goo enclosed in chocolate and peanuts. Unfortunately, it was nasty - I cannot recommend it in the slightest. 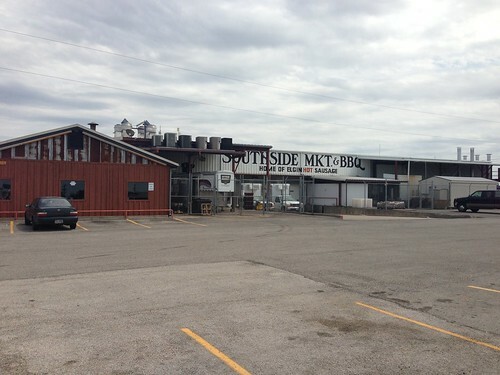 Our destination in Elgin was one of the famous sites of Texas barbecue, Southside Market, the originator of Texas hot sausage (also called "hot guts", to Lori's dismay). 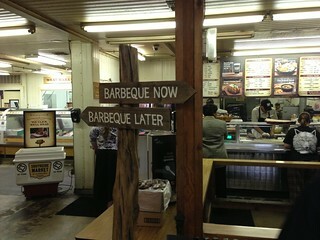 But Southside Market is no longer a small storefront on the town square, but a large barbecue establishment. 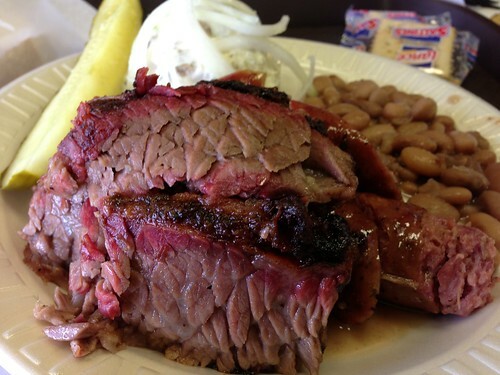 The interior was spacious and efficient, but redolent with the scent of smoking meat. 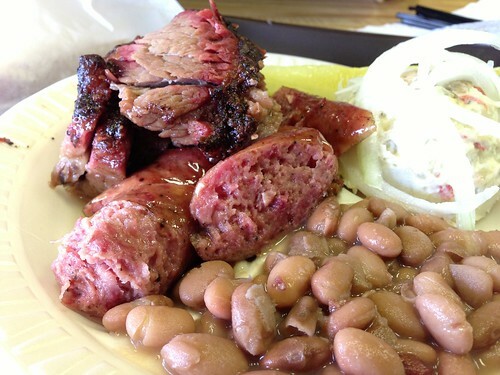 We shared a beautiful platter of brisket, sausage, beans and potato salad. The brisket was delicious we decided that we might prefer the brisket to the sausage. 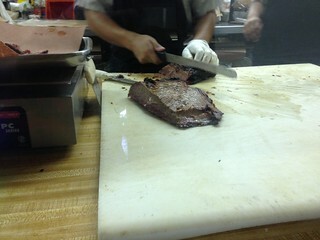 But I argued that even so, if one were to have one meat here, it should be the sausage. The sausage was unusual among all the hot guts we sampled; it was extremely tender, even soft. But very rich and flavorful.